blocks are 2" square cubes. Order only the letters you need to spell a name. 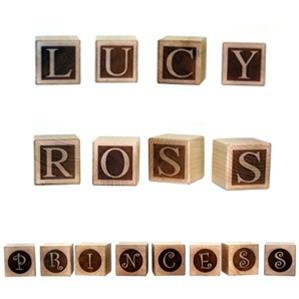 Each block is laser engraved with a letter on one side. The sides of the block are blank. The bottom has our manufacturing info in small type. Made the hard way in Mooresville, Indiana. Old Fashioned is the same as baby block.